Heading home yesterday afternoon it began raining. The rain fell loud and fast. But I didn’t get too wet. The rain was too fine for that. There were patches of dark cloud but also bright sunshine, the rays passing through the droplets giving the impression that the rain had been backlit. It made London look a little like a movie set. The rain too clear, the light too sharp. It was lovely. 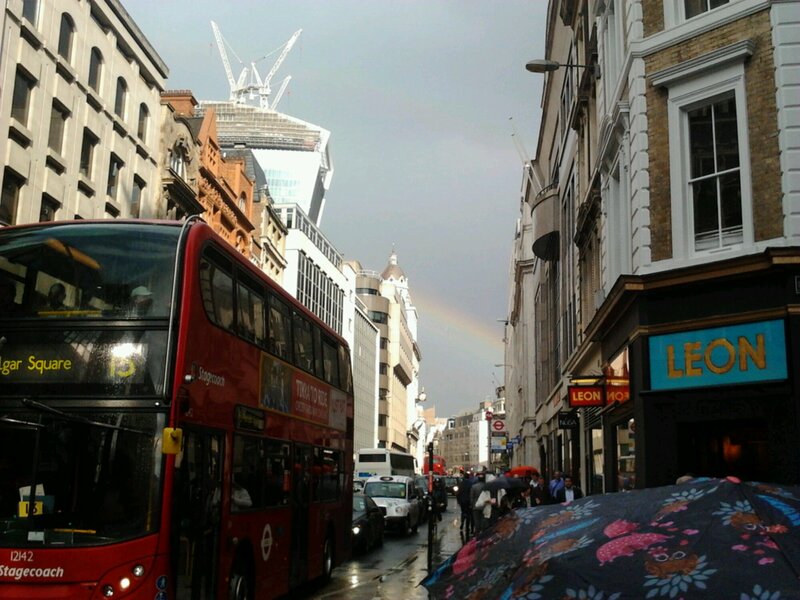 As I crossed the road I saw a rainbow. I know it is a little corny taking photos of rainbows, let alone posting them on the internet, but I liked the intrusion of nature in the big, grey, unflinching city.